2:40PM: THE Queensland Fire and Emergency Services have also issued advisories for two fires located south of Gladstone. 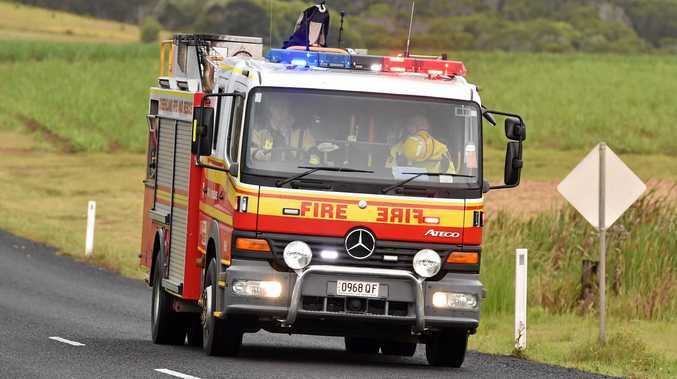 One fire is located in the vicinity near Taunton Rd, south of Williams Way at Taunton, south-west of Agnes Water. Another is located near the Bruce Hwy and Reedbed Rd at Bororen. Crews are currently on the scene of both fires, and they are not posing any threat to property..
1:30PM: THE Queensland Fire and Emergency Services have issued an official advisory regarding the vegetation fire near Calliope. The fire is burning in the vicinity of Dickson Road and the Dawson Highway, so motorists are asked to drive with caution. It is posing no threat to property at this stage, but if the situation changes, residents are urged to call Triple Zero (000). Firefighters warn of smoke haze that could affect Calliope and surrounding areas. EARLIER: SEVERAL fire crews are responding to a fast moving grass fire burning on the side of Dawson Highway near Double Creek at Calliope. Gladstone Grass Fire: Grass fire on the Dawson Highway, near Calliope. The fire front is approximately four acres in size and within 900 metres of structures. Crews have started back-burning operations to contain the blaze. Gladstone Grass Fire Dawson Hwy: Grass fire on the side of the Dawson Hwy near Calliope.